Earth Day is celebrated around the globe on April 22 each year. It is a time for people to consider our impact on the Earth and to commit ourselves to making the Earth a cleaner and healthier place for everyone – and everything – to live. 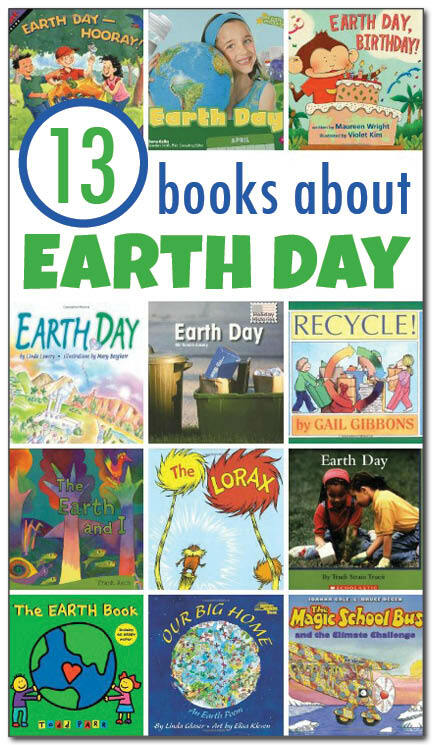 In this post I’m sharing my review of 13 different books about Earth Day for kids. 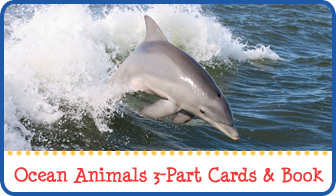 This selection includes both non-fiction and fiction children’s books about Earth Day appropriate for kids ages 2-9. Earth Day by Clara Cella This non-fiction book shares information about the history of Earth Day – when it begin, who started it, and how people have responded to it. Readers will also learn about ways that they can care for the Earth. The back of the book includes a fun and simple activity kids can do to learn about different kinds of recyclable materials. A highlight of this book is the use of real photographs – both historical and modern ones – to illustrate the information shared on each page. Earth Day by Trudi Strain Trueit From the Rookie Read-About Holidays collection, this book features bold photographs accompanied by large print to make it easy for young readers to enjoy. This book talks about how the United States was very polluted 50 years ago. Factories filled the air with smoke and companies dumped dangerous chemicals into rivers. U.S. Senator Gaylord Nelson decided to organize an event to teach people to care for the planet. That is how the first Earth Day came about on April 22, 1970. The book mentions what happened on that first Earth Day, the impact it made in terms of legislation, and how people around the world continue to celebrate Earth Day today. Earth Day by Mir Tamim Ansary This book is part of the Holiday Histories series, and it gives a good historical account of why pollution became a problem on Earth, how people started to become aware of pollution as a problem, what happened at the very first Earth Day celebration, and what people are doing today to combat pollution. The back of the book includes a glossary of key terms printed in bold throughout the book. Let’s Celebrate Earth Day by Connie and Peter Roop This book has lots of wonderful, factual information about Earth Day and our planet Earth. 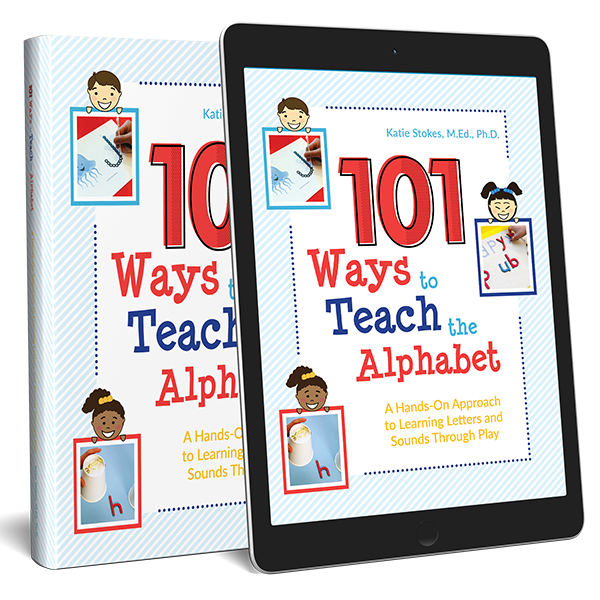 Each page starts with a question and then includes information to answer each question. Starting with “What is Earth Day?”, the book also addresses questions such as “Did the first Earth Day make a difference?”, “What is an endangered species?”, “Why does it matter if a plant or animal lives?”, and “Why is garbage a problem?” The dense amount of text makes this book more suitable for mid- to upper-elementary students, although younger children with a particular interest in the subject will likely find some of the details quite fascinating. Earth Day by Linda Lowery This book provides an historical account of how the first Earth Day came to be. In the late 1960s, a U.S. Senator named Gaylor Nelson was disturbed to see how people were treating the Earth. He came up with an idea to hold an “Earth Day,” which happened in 1970. In many ways it was a success, since it raised awareness about the problems of pollution. Congress also passed laws to protect the environment. But over the next 20 years, Americans forgot the lessons from Earth Day and many problems worsened. A many named Denis Hayes decided to organize a second Earth Day that would be celebrated all over the planet. On April 22, 1990, 22 million people in more than 140 countries celebrated this second Earth Day by taking care of the Earth in various ways both big and small. But to really make a difference for our planet, we need to celebrate Earth Day everyday, not just once a year. This book includes a forward by Gaylord Nelson, the U.S. Senator who organized the very first Earth Day back in 1970. The back of the book includes a list of ways you can help protect the Earth. Earth Day–Hooray! by Stuart J. Murphy This book is part of the MathStart series. As such, there are math lessons about place value that are imparted during the course of this story about students in the Save-the-Planet Club who collect cans for recycling. The students set a goal to collect 5,000 cans. They hope that the money they get from recycling them will allow them to purchase flowers to beautify their local park. They decide to hold a can collection drive at their school to reach their goal. They also visit local parks and fields to pick up cans. They even go door to door in their neighborhood to ask for cans. Eventually, the class reaches their goal and is able to buy flowers to plant at their local park. At the back of the book are additional tips for parents on how to extend the math learning of the book. Earth Day, Birthday! 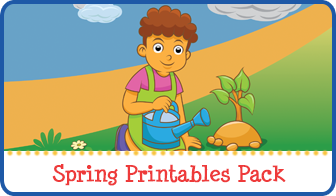 by Maureen Wright It’s April 22, and the forest animals are looking forward to celebrating Earth Day by planting seeds, picking up trash, recycling, and doing other environmentally friendly tasks. As the animals work, Monkey continually insists, “It’s not Earth Day! It’s my birthday!” The other animals begin to get frustrating, telling Monkey, “It’s Earth Day, not your birthday!” The animals and monkey argue back and forth, until Monkey’s mother appears with a birthday cake. Then everyone realizes that it is Monkey’s birthday AND Earth Day, and they can celebrate both together. Recycle! : A Handbook for Kids by Gail Gibbons Every day humans produce more and more garbage. Much of that trash ends up in landfills. But in many places, there isn’t enough room to bury all of the trash we create. So where can all the trash go? In this book, Gibbons suggests recycling as a partial answer to our landfill problems. She then goes on to detail different kinds of trash, including paper, glass, cans, plastic, and polystyrene. For each type of trash, Gibbons explains what it is made of (e.g., lime, soda ash, and silica to make glass), what it is used for, and how it can be recycled. The EARTH Book by Todd Parr With the bright and bold illustration and simple text that Todd Parr is known for, The EARTH Book gives kids 10 simple things they can to to help the earth and explains why each is important in language that even young children will understand. From using both sides of the paper in order to save trees to riding bikes in order to keep the air clean, the ideas presented are direct and clear. This is a great book for kids in preschool and early elementary school who want to learn about ways they can help the earth. The Lorax by Dr. Seuss This book by Dr. Seuss is a classic. While it doesn’t deal directly with Earth Day, it’s message about the importance of caring for our environment is very relevant to Earth Day. The story is about a man who discovers a forest of Truffula Trees. He decides to cut one down in order to make a thneed. (In typical Dr. Seuss style, the book uses lots of made up words like Truffula and thneed.) The Lorax then appears on behalf of the trees, asking the man to stop chopping down the Truffula Trees. But despite repeated pleadings from the Lorax, the man only thinks of the money he can make by selling the thneeds, so he continues to chop down the Truffula Trees manufacture thneeds he can sell. Despite his work’s increasingly negative impact on the environment, the man continues chopping and manufacturing until there are no Truffula Trees left. In fact, all that is left is a barren forest devoid of animals who have long since left due to the polluted water and sky. The book ends with a message to readers that things will only get better if we each care enough to take action by treating our environment with the love and care it deserves. Note: I have a separate post sharing activities to go along with The Lorax. The Magic School Bus And The Climate Challenge by Joanna Cole I’m a big fan of the Magic School Bus series of science books. 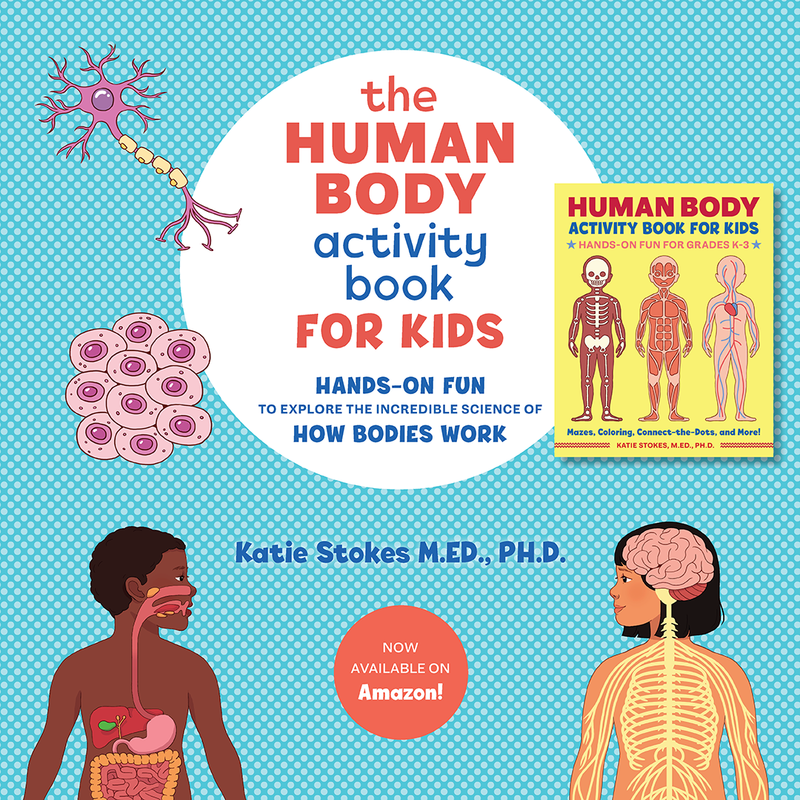 Although the information is imparted as part of a fictional story about a school field trip, these books convey a great deal of factual scientific information. The series is written for more of an elementary age audience. 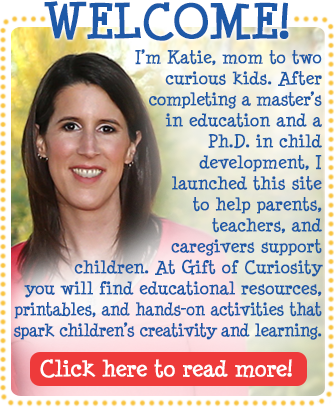 However, if I pick and choose what I share with my kids rather than trying to read every detail on the pages, I find that much of the material is actually very accessible for my preschool-age kids and that they really enjoy the books. This is another book that is not specifically about Earth Day. However, the themes within are certainly germane to conversations about caring for the Earth. In this story, the students in Ms. Frizzle’s class board their magic school bus to take a trip all over the globe to see the changes that are occurring as a result of global climate change. The students also learn the science behind global warming, as well as things they can do to reduce their contributions to global warming. The Earth and I by Frank Asch With cheerful watercolor illustrations, this book tells of a deep friendship between a boy and the Earth. “The Earth and I are friends,” he explains, before telling us how he and the Earth go for walks together, play together, listen to each other, sing for each other, and much more. The message throughout this simple but powerful book is that we can and should live in harmony with our Earth, as our well begin is intimately wrapped up with the Earth’s. Our Big Home by Linda Glaser In this book, children are encouraged to think of “home” not as the dwelling where they live. Instead they are encouraged to consider the entire planet Earth as one really big home for them and all the creatures who live here. The rhyming text is accompanied by cheerful illustrations the evoke the beauty of nature and the wonder of all that planet Earth has to offer us. This book celebrates air, water, dirt, wind, the sun and the sky.